There are times in our life when after breakups or fights or losing match or getting a big zero in some test, we want to share things with people but we can't, we do not want to talk about them but people around us keep poking us for them. We want to forget these stuff but can't because people don't let us. Those are the times when we need some special someone who would take us out of those emotional zones and this is where when we start looking for people who we don't know but want to. Where to start this spree from then when there are a zillion ways to find them online. Heaps of free dating sites in india! Some good some bad! Some real some fake! Here is the list of 10 popular online dating sites for Indians. Hold on! We said 'popular' and not the 'go for it' online dating sites. Look for our "our say" note to see if you can go for it or creak your brakes. You never know which site has that stupendous matching algorithm to make you find your soul mate. 1. 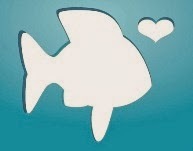 PlentyofFish – The Chemistry predictor test is one is the most attractive feature of POF. It tests you on five dimensions viz. Self-Confidence, Family orientation, Self control, Social dependency, Easygoing that are required for a perfect relationship and then finds a suitable and compatible partner for you. You can set filters to look for only those people with profile images. This gives a little credibility to their account. Our say – Go for it. 2. Mingle2 - What could be quicker than a flash of light? Well this. As soon as you sign up and fill in your details you are set to go. Tens of chat pop-up from the people around you in less than even a second! If you put your pictures up, you can manually look for the suitable options and send a friend request or start a chat. Put up a photo and become eligible of the "Mutual match" feature where you will be shown pictures of people and you can simply click yes and no for the people you liked and didn't. Once done you can start a conversation. Simple! Isn’t it? Our Say – Can go for it. 3. Match.com – Match.com is yet another free dating service. Once you sign up and create your "portrait" (profile) you have to loosen your pocket a little because then only you will be able to weed through other portraits. If you are ready to pay some extra bucks then a professional match maker on Match.com can serve you better. You can send messages, likes and winks but it doesn't have chat feature. It has two attractive features: MatchWords -You can type a few keywords you would like to see in your partner and MindFindBind with a doctor who will guide you on many aspects of a healthy relationship. Our say – Can go for it. 4. Zoosk.com – Zoosk is also one of the most popular online dating sites. Most of the Zooskers use the app available on iOS and Android so much so that it is one of the most downloaded online dating apps. In Carousel, numerous profile pictures are shown to you to whom you can answer yes/no/maybe. You can earn coins for each "yes" you get. Although joining is free with basic features, a subscription fee allows you to have even interesting features to explore like who viewed your profile, full liberty to send and receive messages and Zoosk's Scientific Matchmaking Service which shows your potential matches according to the info you provided. Our say – Can go for it. 5. Badoo - Badoo is a free dating social networking site which is free but can be made premium for higher convenience and performance. One of its features is "Encounters" wherein you can say yes/no/maybe to profiles shown to you. The users can also pay a promotion fee for "rise up" after which their profiles and profile pictures would be popular in search results of others who look for dates. Other premium features mean some more power-ups which enable you to know if your message has been read or not. Our say- Can go for it. 6. Okcupid - This moderated, unique and fun site has so many tests and question answers sessions to make you find your perfect mate. Some of those random questions are certainly weird but all the more good to make interaction with user, One of the most interesting features this site has is 'The Two of Us' tab. Whenever you see an interesting profile, just click on this tab and you would find a tabulated comparison showing the same and different answers you both gave highlighted in different colors. If there is a very low matching percentage, it simply shows "Well we all have issues". We think it's really funny and interesting. The paid users have ad-free experience throughout. In the events the site organizes you can meet people in person in a party. It keeps bringing new features time to time to engage and already existing users. It knows its market, its people. What else do we users want other than this. Our say – Definitely go for it. 7. Telegraph dating - It is one of the most sensible sites out of its "like sites". The profiles are verified which moderated pictures and contents. It has many questions to complete your profile and hence look a partner for you. One 'matching search' click and you are able to weed through profiles according to the preferences you have given. It has a 'two-way match' feature which allows you to see the percentage of probable compatibility between you and the profile you are looking at according to the user preferences you both have provided. It has an unmatched "matching" spider like algorithm which crawls through some million profiles and brings forward the correct and suitable one for you. It mostly has graduate and educated professionals and you do not need to ponder upon their credibility as all is taken care of by the site moderators. Our say – Definitely go for it. 8. eHarmony- To sustain in this tough competition among these top dating sites all over the internet, eHarmony has something special in there for you. It matches the profile based on a questionnaire built in by various researchers in its research labs. It judges people and compatibility on 29 much needed and important dimensions. It is among those sites which could make successful marriages happen. Yes, hundreds of couples who met here have actually married each other. It offers only heterosexual searches but its other site 'Compatible partner' offers searches for same sexes. Our say – Definitely go for it. 9. Chemistry.com – It is an interesting site for finding a match for you. From its excellent questionnaire put up for understanding your personality to actually having advices from the relationship gurus. You can edit in the 'matching criteria' tab and customize your location preferences for your partner as well so that more people can reach you. The site is available for US users but you can fudge with it. If you are not happy with the allegedly compatible partners they have offered to you then you can tell the same in your feedback with just a few clicks. The site claims to have a supply of compatible partners for all ages, all gender preferences and perfect relationships. Our say – Go for it. 10. Xdating – Well Xdating is a bit vague in terms that it doesn't ask for your picture, it doesn't ask you to blab a description, doesn't ask you to provide any info about you but yes it would still say 'suitable matches' for you, the criteria of matching best known to them. It is this vague because it is meant to be so. This dating site is for adults who look for fun, one night stands, hookups and sexual relationships. A few seconds and you are able to sign up. When you sign up you are in 'Safe mode' by default and you cannot see sexually obnoxious pictures of people. Change the safe mode to off and you can view them howsoever they are. No moderation. It promises extra features on subscription which only God may know because they are not mentioned anywhere. You cannot search for people on the basis of what they are looking for certainly because there was no such information asked from you as well. You need to browse through profiles yourself and 'like' them if they 'like' you back voila! You are matched. You do not have full access to relying to mails which you might after you pay the subscription fee. Beware of the scammers and bots which cover high percentage of users. Our say – Caution! Share your views about these free online dating sites for India via comment.